Friends, We have been getting a number of queries about the upcoming SSC CGL exam 2014. As its not possible for us to answer all the questions, we will try to clear your doubts in this post. If you already have prepared / have been preparing for any other competitive exams like Bank Clerks / POs, LIC or RRB exams then it will be a cake walk for you to prepare for SSC CGL. Because is ALMOST same for these exams (Caution : The syllabus is 90% same, but the approach of SSC is little different when compared to other competitive exams. We shall discuss about the detailed syllabus and preparation plan in our next post. Now lets restrict this post for discussing the strategy of SSC CGL). What is this SSC CGL Exam ? SSC is the simple form of Staff Selection Commission. It is an organization which recruits staff for various posts in the various Ministries and Departments of the Government of India and in Subordinate Offices. It conducts the CGL (Combined Graduate Level) Examination for graduates to recruit Accountants, UDCs (Upper Divisional Clerks), Tax-Assistants, Auditors, Inspectors of various organizations once an year. There were rumors that SSC is not going to conduct the CGL exam in the year 2014 due to elections and some people were fearing that it is going to change the syllabus of ssc cgl for the year 2014. But luckily it has announced the notification and the syllabus is also same as last years' ssc cgl exam. This will be advantageous for us because we have a plenty of previous papers for us to get the clear cut idea on the pattern of the exam. Ok now lets see the pattern of the exam. As we have discussed in our earlier posts, this exam consists of three stages. For the sake of ssc lets call them tiers. Tier I Exam : The pattern of this exam is almost similar to any other competitive exam. This exam Consists of 200 Multiple Choice Questions which are of 200 marks. Which consists questions from Aptitude, Reasoning, English and General Awareness (50 marks from each section). Negative marking is there. 1/4th of the mark will be reduced for wrong answer. Tier II Exam : For all the Tier I qualified candidates, the SSC conducts the Tier II Exam. Along with the results of Tier I exam, it will announce the Tier II Exam dates. This exam consists of two sections (three sections for Statistical Investigator Grade-II aspirants). 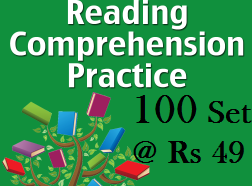 Those are Paper I : Quantitative Abilities and Paper II : English Language & Comprehension (200 x 2 = 400 marks). If you have applied for Statistical Investigator Grade-II post then you should write the Paper III (Statistics) too. This is also of 200 marks. Negative marking is there. 1/2nd mark will be reduced in Paper I, Paper III and 1/4th mark will be reduced in Paper II for wrong answer. Tier III Interview (and/or) Proficiency / Skill Test : Based on the results of Tier II Exam you will be called for Interviews (and/or) Proficiency test. Interviews will be based on the post you have applied for (we shall discuss about it later) and the proficiency test checks your computer proficiency. I mean, the will check your basic understanding of operating systems, your ability to create, edit, or delete a file, folder, Zip files or type a document in the given time and taking printout etc.